In the $100k Tespa Collegiate Champion Finals, Overwatch player Funanah used Lucio’s “Boop” to steal an early lead in a match. It was a play so good that it seemed to demoralize his opponents into losing the whole thing. The Boop, as many of you already know, is Lucio’s Soundwave move—it can push people to their doom. He’s not the only character with a “push” move (all moves of this kind are called “boops”), but in terms of Lucio’s overall toolbelt, it’s one of his flashier options. 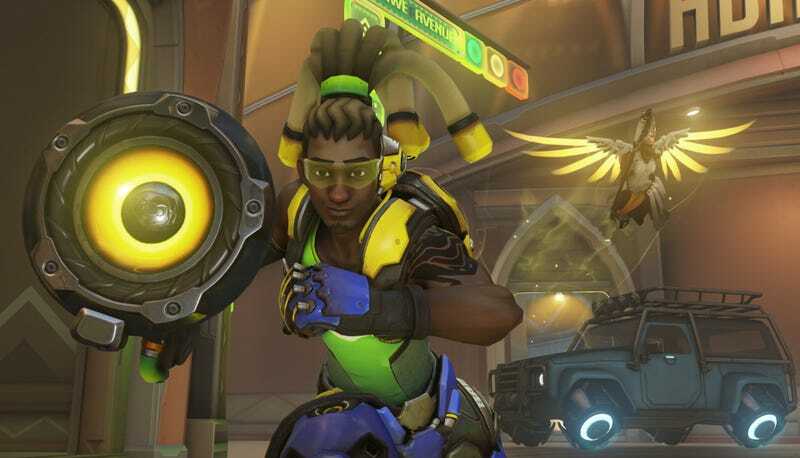 If you’re good with the boop, then you can almost play Lucio as a sneaky-offense character. Lucio’s boop is a little unpredictable, but it’s most effective on a motionless opponent or at least someone who isn’t jumping and/or moving towards him. As a result of that, it’s pretty easy to counter, unless Lucio somehow manages to sneak up on someone. You might have trouble finding Funanah in this video at first—the opposing team sure did! He’s not down on the ground pushing the payload with the rest of his team, where you’d think he’d be. Instead, he’s up on the side of the building in front of them, creeping along the ledge, queuing up his Soundwave. Dun dun dunnnn. He boops the most important boop that he can versus the player Chief, who’s playing as Reinhardt with his shield up. That shield doesn’t protect him from peril, though, since Lucio jumps sky-high to inflict a boop from above that would even impress Pharah. Once on the ground, Funanah assists in killing off SSCOTT, who’s playing as the sniper, Ana. Taking out both Reinhardt and Ana helps his team turn the tide and keep pushing that payload down its path. This play happened pretty early on in the match, which you can watch in full on TeamTespa’s Twitch channel. The Toronto vs. Texas match begins around the 1 hour mark, and it starts off with a good show from Texas, who also got to choose the map so you’d think they’d be more comfortable with it (I kid, I kid). The Texas team’s Roadhog makes good use of his chain right out of the gate to take out almost all of the Toronto players, but as soon as everyone on Toronto respawns, they operate like a well-oiled machine for the rest of the match. The Lucio play is probably the most memorable moment of a game that didn’t seem like a fair fight for Texas—and, unsurprisingly, Toronto went on to make it to the very last bracket of the tournament… at which point the University of California Berkeley ended up taking them down. Anyway, Overwatch doesn’t tend to reward “lone wolf” tactics like this Lucio performance, especially when it comes to healers. Seriously, folks, don’t stray that far from the payload unless you’re planning something this extraordinary.